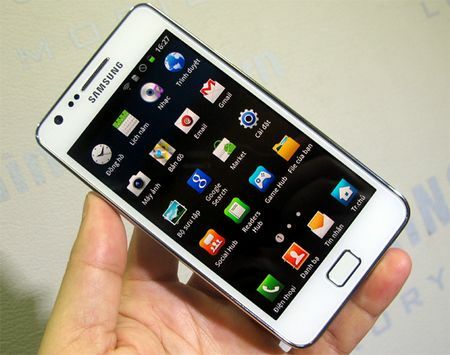 The Android 4.2 is now arrived for Samsung Galaxy SII i9100G and it comes in the form of an official version of CyanogenMod 10.1. Please make a note that the given below procedure is for Galaxy S II i9100G only. So, don’t try with any other variants. Before start to proceed, you must Backup all your data such as Call logs, SMS, MMS, Apps, Videos, Images etc with the help of Backup application. Just in case, if you lost your data due to any reason. A) If you are first time installing the CyanogenMod 10.1 to your Galaxy S II, or coming from another ROM then follow this guide. 1. Make sure you’re running ICS bootloaders (If you’re unsure, flash a official ICS ROM and proceed). 3. Copy Gapps and CM10.1 Zips to your internal SD Card. 5. Flash CM10.1 zip from internal SD card. 6. Flash Gapps zip from internal SD card. 8. After that reboot your device. 10. Restoring Apps + Data might cause problems and is not recommended, avoid it if possible! 1. Initially, you need to copy CM10.1 ZIP to your internal SD Card. 3. Flash CM10.1 zip from internal SD card. 4. After that reboot your device and enjoy.